The Piazza Tray by Kartell was designed by Fabio Novembre and is a tribute to the squares in his hometown of Lecce, a town in the southern Italian region of Apulia. Novembre's serving tray combines original and traditional shapes with modern materials to create a utensil that is both familiar and modern. 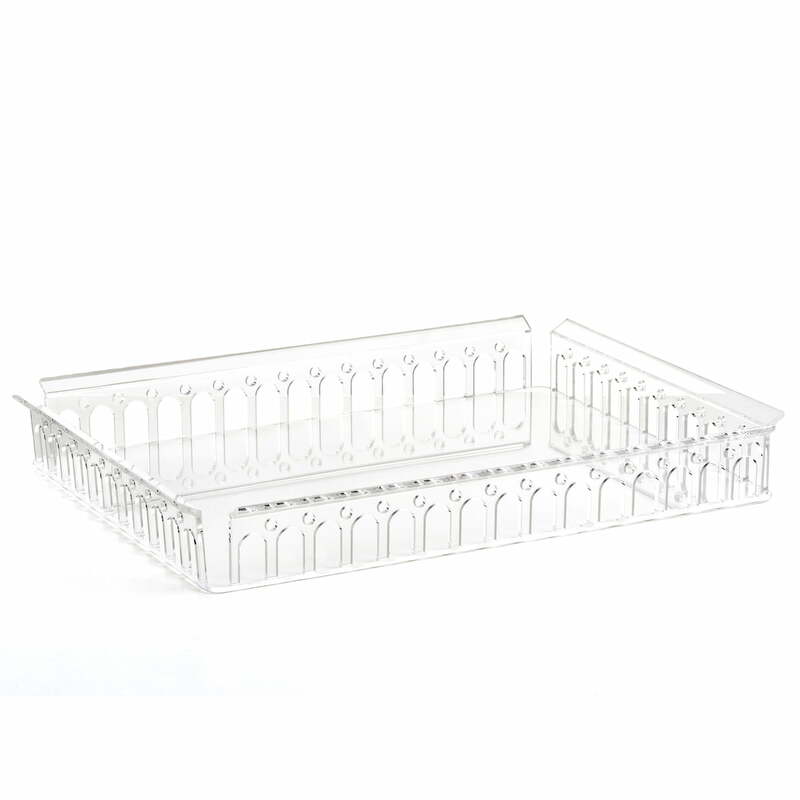 Kartell's Piazza Tray is made from through-dyed or transparent thermoplastic technopolymer. With its functionality and versatility, the tray is ideal for carrying and serving drinks and food, but also makes an excellent decorative element on the dining table or as a base for vases or tea lights. The Piazza tray 48 x 37 cm from Kartell in clear in single product view. 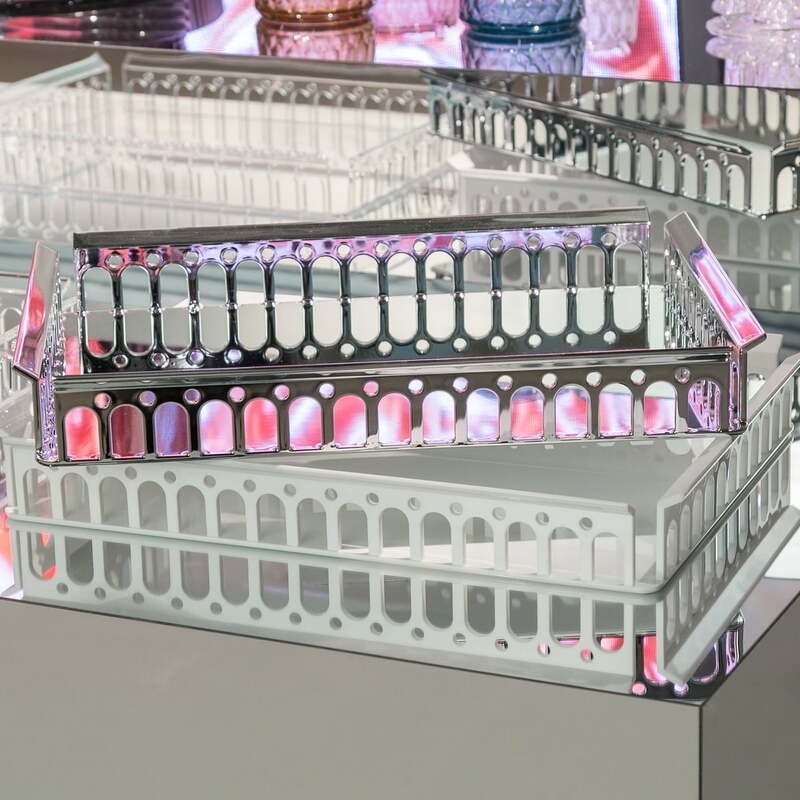 The Piazza tray in transparent thermoplastic technopolymer from Kartell was designed by Fabio Novembre.